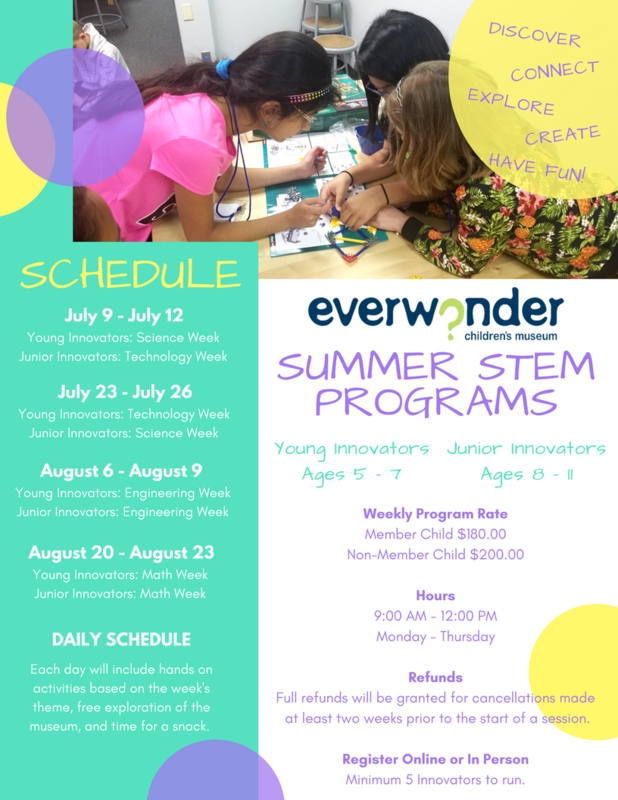 Welcome to EverWonder Children's Museum's Summer STEM Programs! Each week will focus on a different field of STEM. Your child will dive into exciting topics with hands on learning and fun! We hope you'll join us for an innovative summer!